A channel management software platform that is configured to meet a variety of requirements in the sales channel. WILMINGTON, NC, UNITED STATES, March 15, 2018 -- LogicBay Corporation, a company that helps clients build, scale and optimize their sales channels announced the release of their ChannelStack™ technology solution. 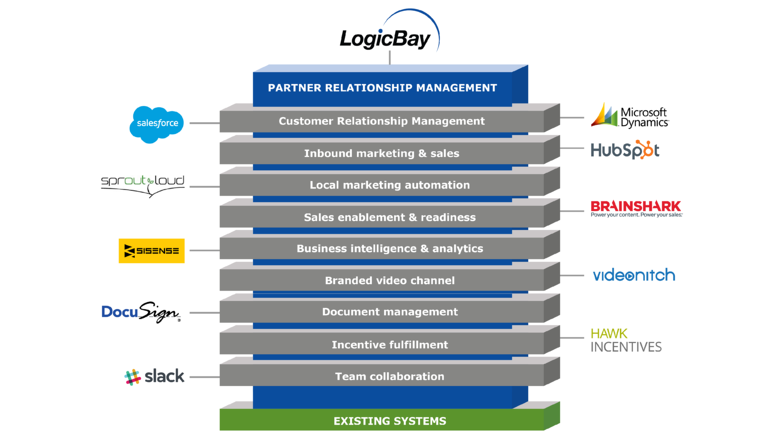 LogicBay’s approach to powering channel growth with Partner Relationship Management (PRM) software at the core of their ChannelStack™, provides solutions to challenges that occur in the sales channel such as partner onboarding, managing lead flow, training and enabling partners, and monitoring key metrics. The ChannelStack™ technology is a vital part of LogicBay’s proprietary Channel Profit Center™ (CPC), a methodology built on the principle of running a sales channel like a business unit. This approach to reaching channel goals encompasses three key elements: Industry insights and expertise, a concrete plan that ties operational objectives to financial benchmarks, and the ChannelStack™ framework. For more information about LogicBay’s technology and methodology for powering channel growth, please visit www.logicbay.com. Founded in 2003, LogicBay delivers technology-enabled channel management solutions to companies that need to build, scale, or optimize their indirect sales channels. At the core is the ChannelStack™, combined with a proprietary Channel Profit Center™ methodology that helps companies achieve growth through their sales channels. LogicBay’s technology and services have delivered substantial and consistent value to many of the world’s leading companies such as Caterpillar, Daimler Trucks North America, Hyster-Yale Group, and Texas Instruments. In addition to these enterprise solutions, LogicBay has contributed significantly to the success of many small and midsize businesses. For more information, visit www.logicbay.com, follow LogicBay on Twitter (@LogicBay), or connect with LogicBay on LinkedIn.